Our Company Wallets from Calendar Lady Promotions are an excellent promotional item that's also very handy. Each of our Branded Wallets come with credit card slots, a purse, note holder plus an identity pass window for your buss pass etc, so you can just flip them open to display. All of our Company Wallets also come ready branded with your business details and company logo in Gold or Silver blocking to help promote your business details and company logo. 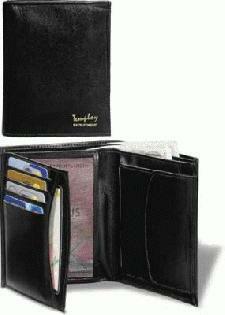 So help promote your business upon our Company Wallets as well as giving away the ideal promotional gift. To find out more about our Company Wallets click here and fill in the contact form and we'll get straight back to you. Other promotional and personalised items besides our Company Wallets click here.